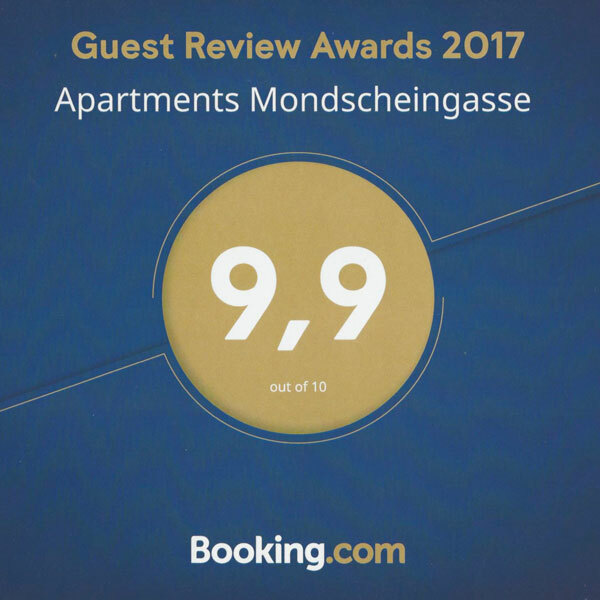 When you are coming to Vienna and looking for a luxurious accommodation, the Mondscheingasse Serviced Apartments are perfect for your needs. You simply make a request on our homepage for your desired apartment or tell us which area is your preferred one and we will tell you which apartments meet your needs. Will you arrive very early or very late? No problem for us. We offer a flexible key box Check-in so that you can arrive at any time without waiting after an exhausting flight. You will receive all information in advance via e-mail. Our apartments are all high quality and tastefully furnished with a mix of modern and hand-picked individual pieces. Our beds are handmade boxspring beds with the highest comfort for an excellent sleep. All kitchens are fully equipped, from Nespresso machine to toaster, water kettle, stove, oven, cutlery, dishes and kitchen utensils. Each of our apartments has its own internet connection. The internet is unlimited and in high speed. This makes everything possible from surfing to streaming. You would like to have as little effort as possible with the billing? No problem for us. We will send you the invoice via e-mail, post or bring it personally. You can conveniently pay by credit card, cash, bank transfer or bank debit. Whatever is most comfortable for you. Of course, our invoices are issued with VAT, so you can use them for your tax declaration and billing. Do you like Vienna so much that you want to stay longer? Just let us know and we can extend your stay without any problems. 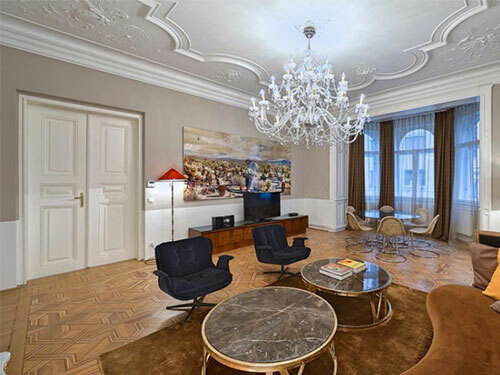 Do you want to experience Vienna and enjoy the luxury of not having to worry about cleaning the apartment? We offer weekly cleanings and linen change. If you wish, also oftener. Do you want to experience the best restaurants and bars in the city? We have collected personally tested recommendations for you. We will also find further tips for your interests.